Ratios? Reward And Risk? 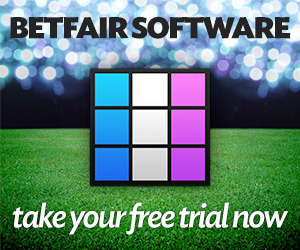 What Is The Best For Matchbook Or Betfair? Would you rather make many bets that pay 1 and risk 5 or many bets that pay 5 and risk 1? Let me ask you a question on ratios. What’s better – taking many trades that have a reward to risk ratio of 1 to 5 or taking many trades that have a ratio of 5 to 1? If you answered the latter you’d be dead wrong. On the surface the idea of making many trades that have a positive risk reward profile looks immensely attractive. Who wouldn’t you want to get paid 5 every time you risk 1? Unfortunately many traders confuse the idea of payoff with the probability of actually collecting those payoffs. The probability of consistently making a trade that makes you 5 while keeping risk to 1 is generally very small – MAYBE 15% if that. Ratios not so good then? But assuming you have a long term positive expectancy (i.e. say you lose 3 for every 1 you make, but your winning percentage is 77% or better) you should do as many trades as possible for the same reason that insurance companies write as many policies as possible – the law of large numbers works in your favour. As long you keep each individual trade loss to a very small risk size (between 0.5% and 1.0%) your risk of ruin is manageable. The more you trade the more profits you’ll build up and the more capital you’ll have at your disposal to survive. The high reward/low risk trades have the exact opposite profile. You spend a lot of time bleeding away money until you finally hit a good trade. The psychological toll of constantly losing money also makes traders much more reluctant to pull the trigger just at the moment when they need to. So the lesson of the day is if you trade like an insurance company don’t be afraid to write a new policy after a hurricane wipes out your profits.